Michael Phelps is setting the record straight on his highly-publicized race against a shark. The 32-year-old retired Olympic swimmer said on Thursday's episode of "Good Morning America" that he wasn't in danger while racing a great white shark for Shark Week on the Discovery Channel. 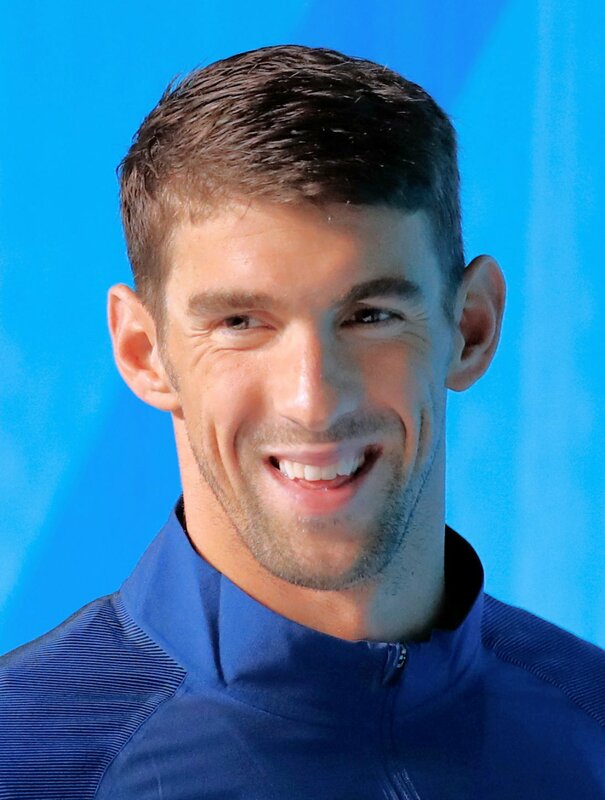 "We're not in the water at the same exact time," Phelps told host Robin Roberts. "That's the thing we want everybody to know. I was safe, which is No. 1." "I had, you know, 12 to 14 divers underneath me when we were doing the race," he said. "When you have an animal this size you want to be able to see how fast they swim and it's tough to go into their territory and be able to swim as fast as they do, right?" Phelps did prepare for the race by taking a dive in a cage in shark-infested waters. "As soon as I first got in, I felt both sides of the cage kind of moving back and forth," the star recalled. "I was like, 'Oh my gosh. We're really getting bit. The cage is shaking.'" "They didn't look that big underwater, but ... they were pretty massive sharks. I had one literally come right up to my nose. It was crazy," he confessed. Phelps' race will air as the Discovery Channel special "Phelps vs. Shark: Great Gold vs. Great White" on Sunday, the first day of Shark Week. He will also appear on "Shark School with Michael Phelps" on July 30. "He is our greatest champion to ever get in the water," Discovery Channel said of Phelps in a statement in June. "But he has one competition left to win. An event so monumental no one has ever attempted it before. The world's most decorated athlete takes on the ocean's most efficient predator."